Physicists won’t be fooling around on April 1 at the Laser Interferometer Gravitational-Wave Observatory in Washington state and Louisiana, or at the Virgo gravitational-wave detector in Italy. Instead, they’ll all be bearing down for the most serious search ever conducted for signs of merging black holes, colliding neutron stars — and perhaps the first detection of a mashup involving both those exotic phenomena. 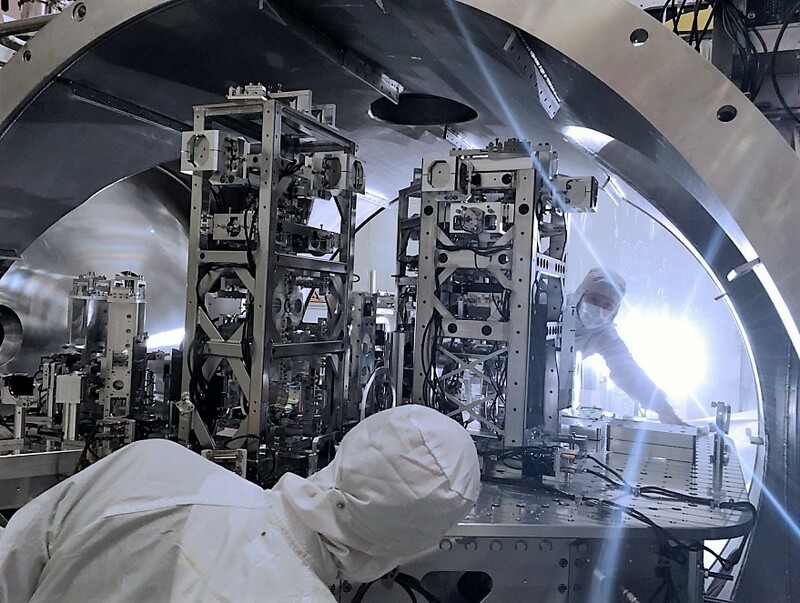 Both experiments have been upgraded significantly since their last observational runs, resulting in a combined increase of about 40 percent in sensitivity. That means even more cosmic smashups should be detected, at distances farther out. There’s also a better chance of determining precisely where cosmic collisions occur, increasing the chances of following up with other types of observations. This entry was posted in GeekWire and tagged Black Holes, Gravitational Waves, LIGO, Neutron stars, Physics, Science, Space, Virgo. Bookmark the permalink.